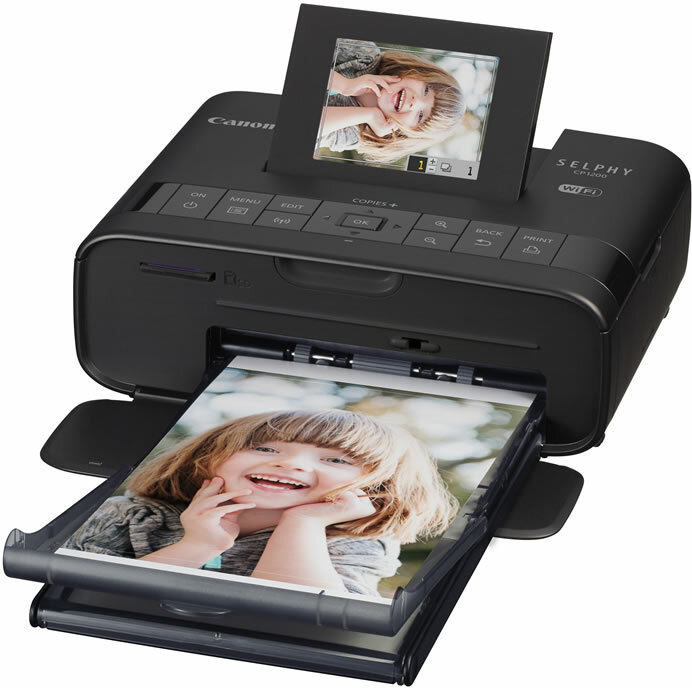 Canon today announced the SELPHY CP1200 Wireless Compact Photo Printer. This freshly redesigned, on-the-go printer features an optional direct-attachable battery, Wi-Fi button, and the ability to print more memories than ever before. The convenient and easy-to-use SELPHY CP1200 printer offers increased portability with its optional direct-attachable battery, which is sold separately and has the capacity to print 54 photos per charge, increased from 36 images in previous models. Canon SELPHY CP1200 Wireless Compact Photo Printer is packed with crafty features that aid in creating and gifting keepsakes, mementos and souvenirs. With card-size printing options, users can create pass cases, messages, decorated albums, and more with the option of adding white or black borders to the layout. Users also have the ability to print postage stamp size sheets, featuring eight thumbnails or a combination of images. The printer is designed to provide accurate color reproduction, thanks to the use of dye sublimation technology, and also provides a water-resistant coating that will help photos last up to 100 years. 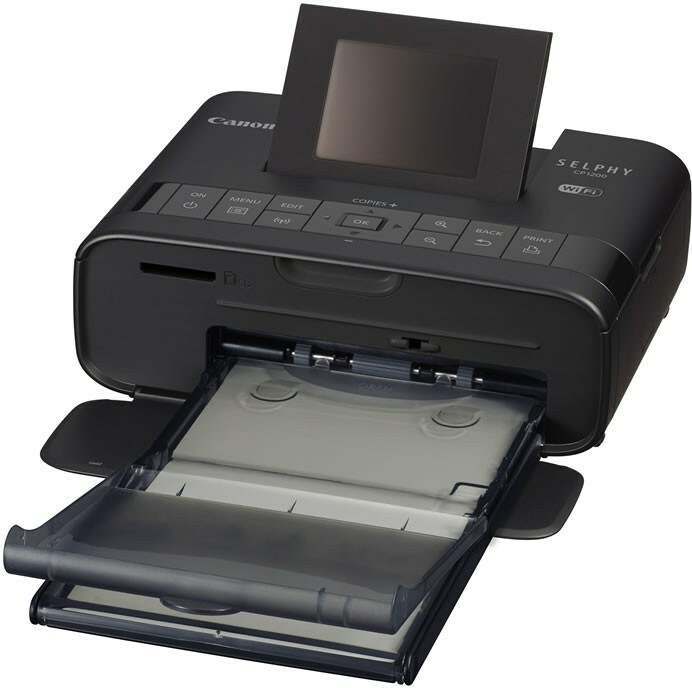 The SELPHY CP1200 printer utilizes a variety of connection preferences, including SD card, Wi-Fi, USB memory and USB cords to work in almost any environment. The estimated selling price of the SELPHY CP1200 Wireless Compact Photo Printer is $105.99 (MSRP)5, and it is available in black and white.